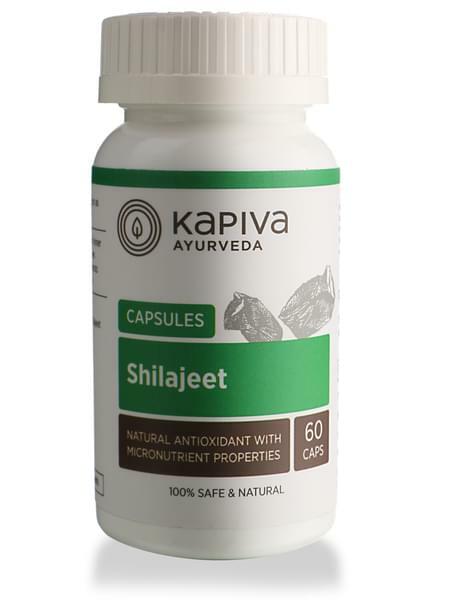 • For Kapiva’s Shilajeet Capsules, we harvest the gold grade shilajeet that is found in the highest altitudes of the himalayas. • Provides vitality, strength and iron which prevents anemia. • Aids in controlling diabetes, while also speeding up the kidneys’ recovery process. • Encourages accelerated bone growth with good density and facilitates the healing of damaged muscles. • Consuming one to two capsules every day can boost your daily functions immensely. • Kapiva derives its name from the three doshas of ayurveda – Kapha-Pitta-Vatta. our range of 200+ GMP Certified products have the right herbs in the right dosage and provide solutions to a variety of ailments. It's the day and age of hybrids, so go ahead and enjoy the best of both worlds - Ayurvedic tradition + Modern-day science and technology.